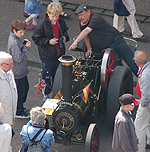 In 2020, the largest steam power event in Europe will be held for the nineteenth time in Dordrecht (the Netherlands). Organisers expect 250,000 visitors at this steam celebration. Admission to ‘Dordt in Steam’ is free. Day-tickets will be sold for round trips on historic transport (the ‘Steam circuit Dordt’ – Stoomrondje Dordt). On friday evening, Dordt in Steam will open with an impressive naval parade on the river. This spectacle can be seen for free from the Groothoofd and the Merwekade. The gigantic event is spread across two areas in the city which are linked with (steam)ships, steam trains and old-timer busses. 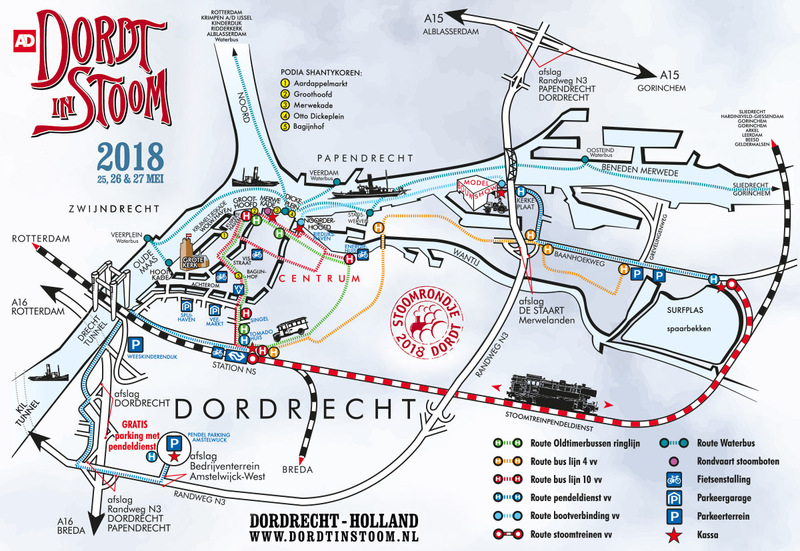 By purchasing a day-ticket for the ‘Stoomrondje Dordt’, the visitor will have access to the various forms of historic transport at the event. It also includes admission to the Model Building Show. The day-ticket for the ‘Steam circuit Dordt’ is available at all departure points. Be aware that a round trip lasts at least three hours! In the picturesque harbour area next to the Groothoofd, Kuipershaven, Wolwevershaven and the Merwekade, dozens of steam-powered ships, machines and vehicles will be on view. Steamboats will be making round trips on the river. For children, miniature steam trains will be operating. Various (steam)ships will be open for visitors. Sidewalk cafes and live music will provide a sparkling atmosphere. In the Wolweversharborarea ships and facades will be magical highlighted on Saturday evening. International participants will display model trains, miniature steam powered machinery and model ships in a large model building show. You can go by steamtrain or steamboat to visit this great Model Builing Show.